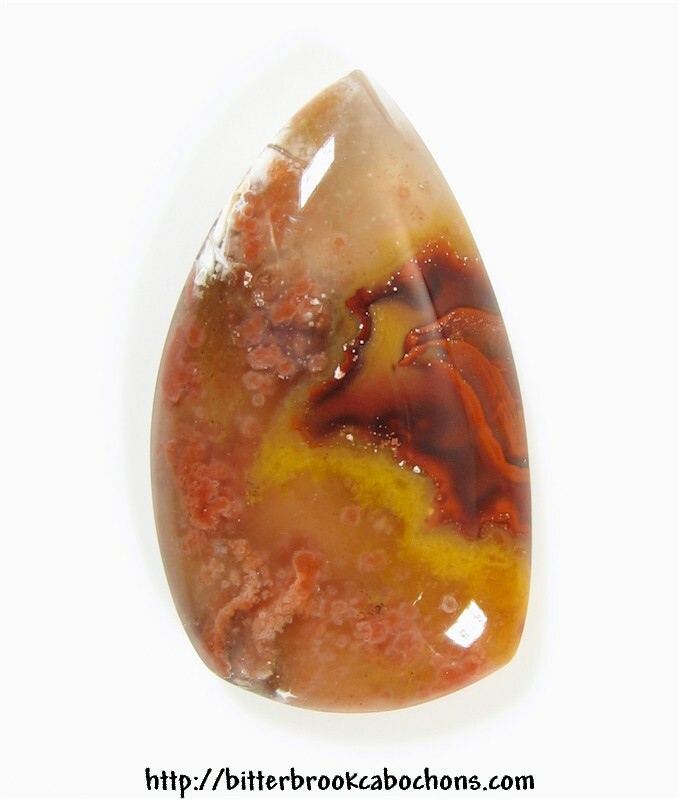 This Alabama Paint Rock cabochon is pretty colorful! The cab is translucent throughout, with yellow and red clouds. On the right side there's a red and yellow cloud, with a bright red area at extreme right which looks like the red wax "lips" we used to buy in the penny candy case. The white spots are actually white coloring in the stone, predominant at upper left (and on the back of the cab). Dimensions: 33mm x 19mm x 6mm. Weight: 30.70 carats.